BCA and CCC Child Care will be closed on Fri., Apr. 19 and Easter Monday, Apr. 22. Easter Services - Families are always welcome to attend any of the services listed below! There will also be an Easter Egg Hunt for the kids after the Grace Place service around 7 p.m. Contemporary Service - 11:15 a.m.
ChapelEveryone is welcome to join us for our Chapel service on Wed., Apr. 24 at 8:30 a.m. at Good Shepherd Lutheran Church. Pastor Pingel from First Lutheran Church will be leading this chapel service. Our fourth quarter chapel offerings will continue to go to Bridge City Community Church, led by Pastor Josh Woodrow. Fri., April 19: Good Friday. We will have a Tenebrae Service @ 7 PM in the Sanctuary. 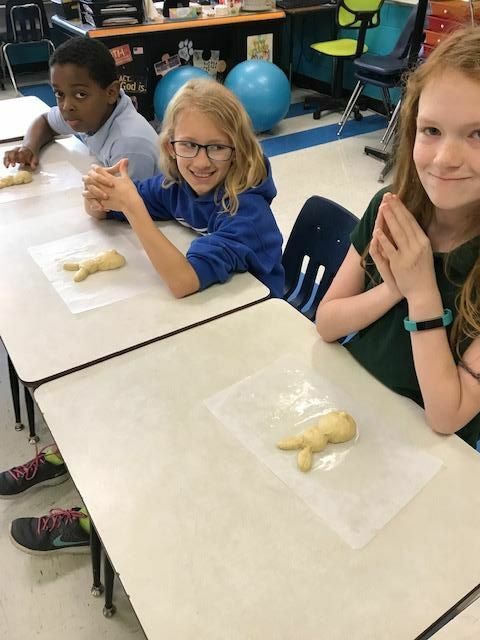 The 5th graders baked Bunny Bread and made Resurrection Rolls. This is an annual tradition in Mrs. Streufert's class! 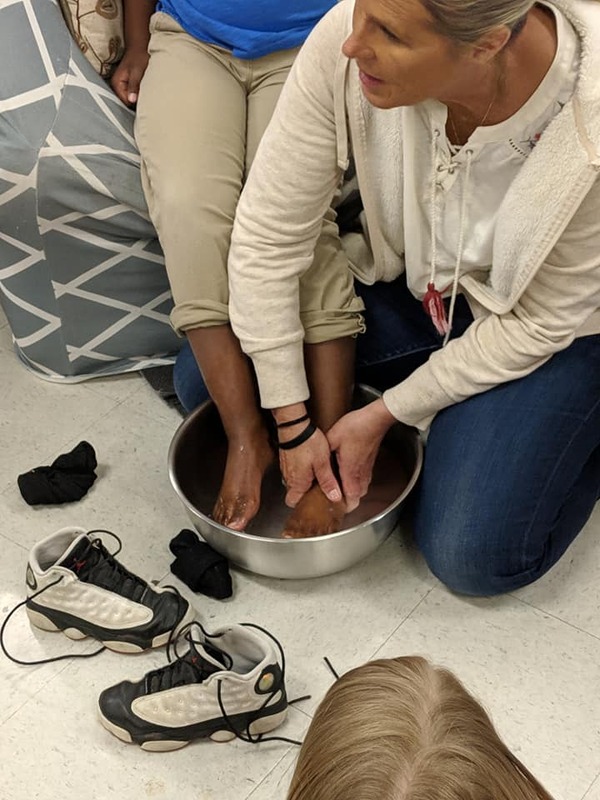 Mrs. Peggy shows the kindergarteners how Jesus humbled Himself to wash the feet of his apostles. Our April blue jean $1 day with proceeds going to Bridge City Community, will be Friday, April 26. Students may wear jeans with a Friday dress code shirt to school for a $1 donation. BCA Arts Night will be Tues., Apr. 30 at 6 p.m. Artwork will be on display in the gym from 6 p.m. to 6:45 p.m., with poetry readings by our middle schoolers starting at 6:45 p.m.
4/24/19 - Away Game vs. Boyd Buchanan @ 4:00 p.m.